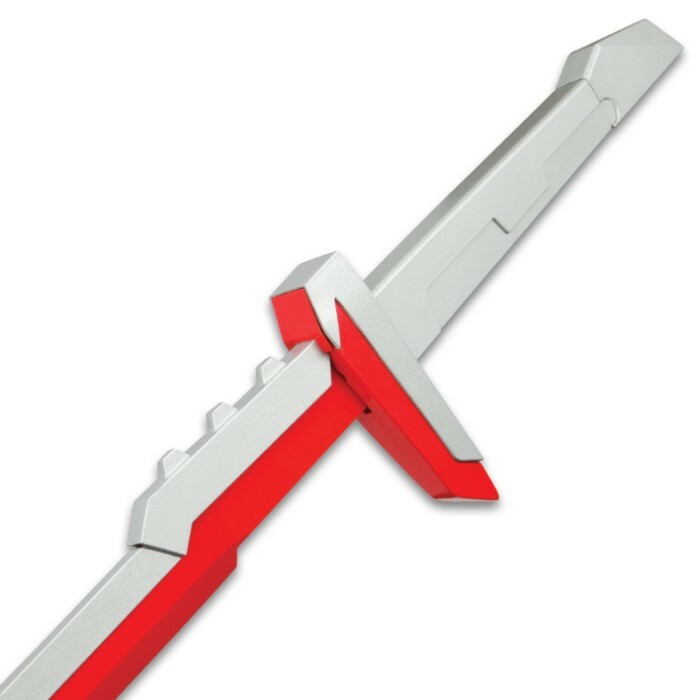 Inspired by the popular online battle game, League of Legends, our Red and Silver Sword is solid and reassuring when you hold it in your hand. It just doesn’t get any realer than this! 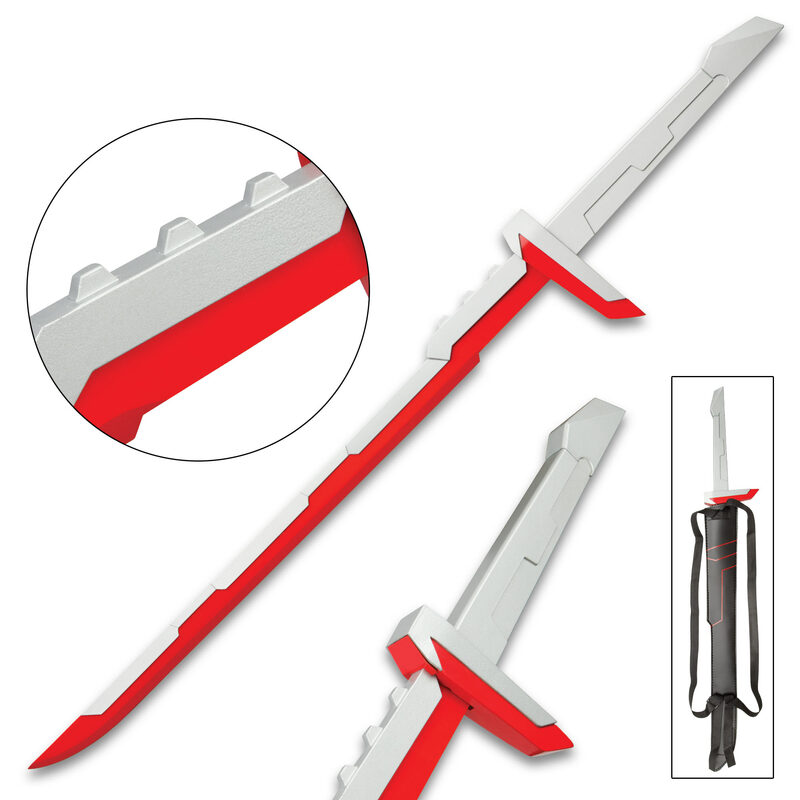 The 26 3/4” stainless steel blade is two-toned in red and silver and has a false edge. 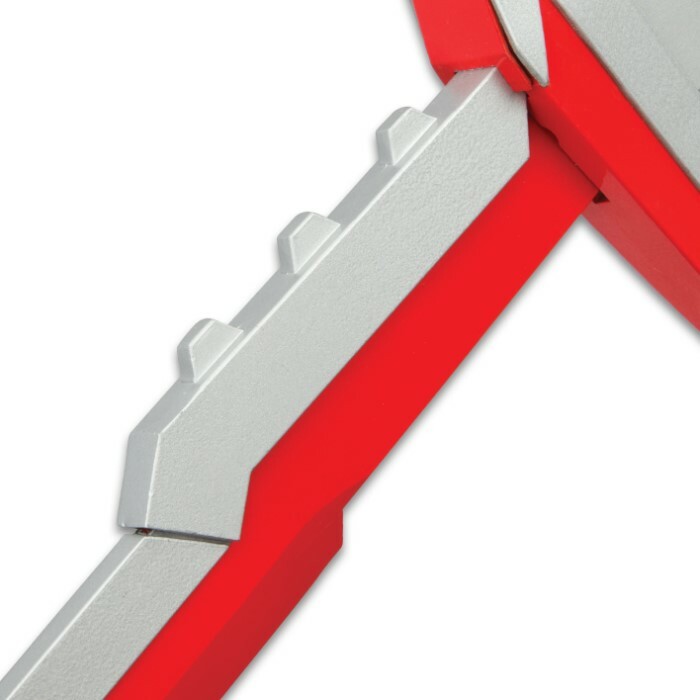 The handle is a beast in red metal with a silver hard plastic pommel. 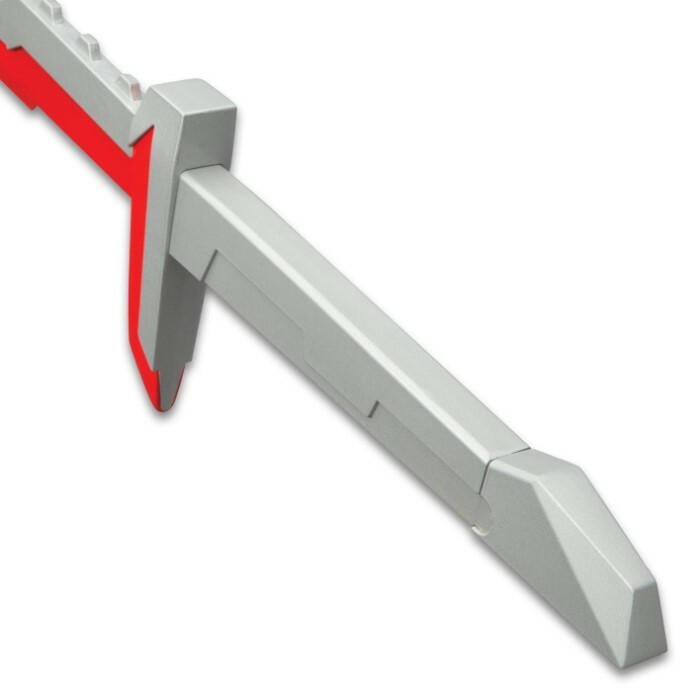 The eye-catching, asymmetrical red and silver guard is also constructed of metal and hard plastic. The Red and Silver Sword is housed in a faux leather shoulder strap sheath which has red accents. This is an excellent League of Legends cosplay piece!